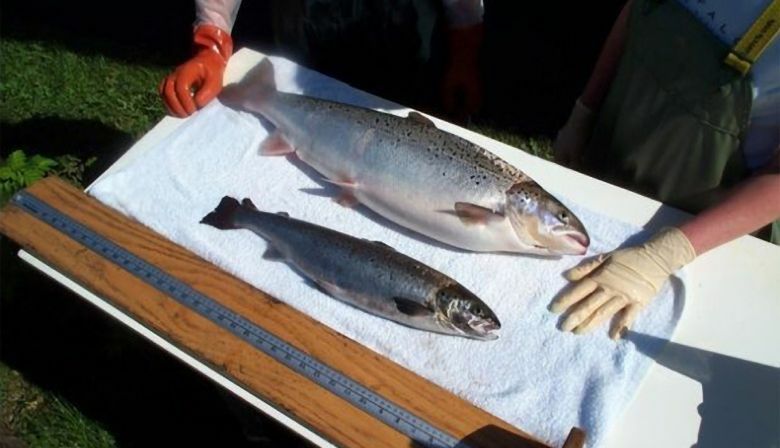 Canada's first commercial farm for genetically-modified salmon received environmental approval on Tuesday—the final hurdle in a decades-long push to bring the fast-growing fish to market, amid strong opposition. US-based biotech firm AquaBounty said it would begin stocking its Rollo Bay facility in the eastern province of Prince Edward Island, capable of producing up to 250 metric tons (550,000 pounds) of fish a year, "as soon as possible." The first commercial harvest, it said, is expected at the end of 2020, around the same time as another at the company's facility in Albany, Indiana. "This decision means more Canadians will be eating GM salmon without knowing," said Lucy Sharratt of the Canadian Biotechnology Action Network, citing a lack of mandatory labeling of genetically-modified foods in Canada.